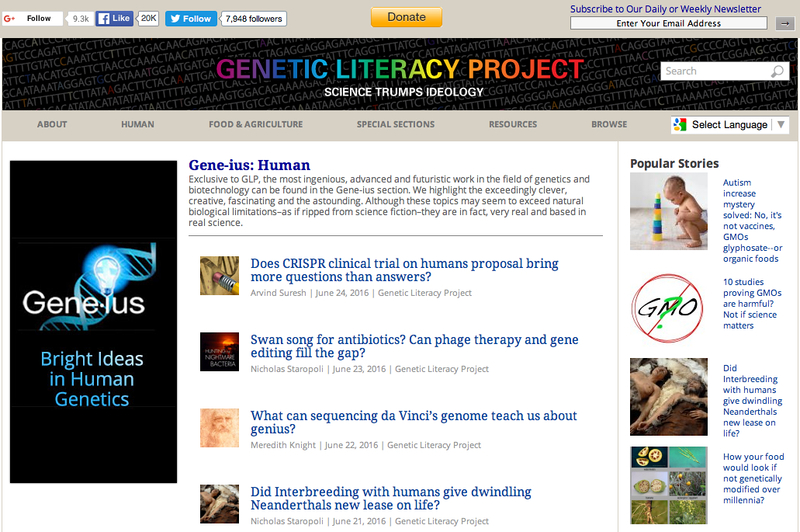 We designed and produced the Genetic Literacy Project (GLP) website—a robust aggregation site dedicated to scientific news and developments in human and agricultural genetics. Whereas most websites revolve around their own content, aggregation sites are designed to automatically search, collect, post and archive a specific type of online content from other sites, aggregating it all in one convenient, central location. Shortly after launching, the GLP site self- propagated into thousands of pages—a massive, online data bank/library of genetic news and information. In addition to its self-aggregating properties, this site also serves as a forum for original content developed by GLP staff members and contributing scientists from a pure science viewpoint—free of political, ideological and/or commercial bias/influence. Although this popular site is continually evolving, the foundations of our work and state of the art aggregation coding remain intact. 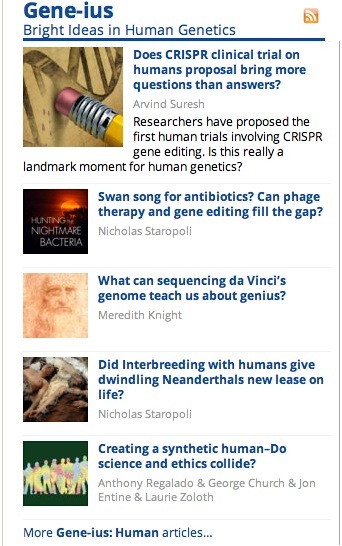 GLP has become a widely recognized and authoritative online resource for scientific news and developments in human and agricultural genetics—furthering the simple, enduring truth of its tagline, Science Not Ideology. Let us assist with your online aggregation needs, as well.